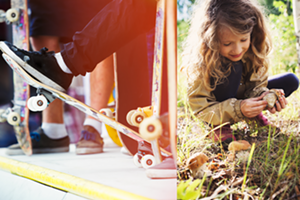 A Place to Pump | The Kids Beat | Kids VT - small people, big ideas! 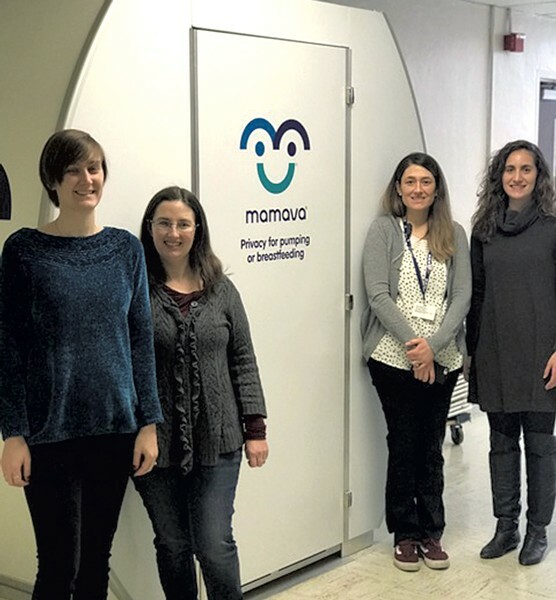 Founded by Sascha Mayer and Christine Dodson in 2013, Burlington-based Mamava aims to support nursing moms by providing them with a clean, private place to nurse and pump milk. Their freestanding lactation suites have been installed in hundreds of locations across the country, from airports to sports stadiums. In February, Dodson and her son, Julius, a junior at Burlington High School, joined with parent and student volunteers to deliver and assemble a Mamava lactation suite for BHS employees and visitors. The high school is the first in Vermont to install one of the suites. Currently there are four BHS faculty and staff members returning to work after maternity leave. One of them, history teacher Francesca Dupuis, said she is grateful to have a dedicated space to pump. "Historically, BHS employees have used small closets, such as the English department's book closet or former utility closets," she said. "These spaces were never designed to be private, sanitary spaces for nursing mothers, and it can be quite stressful when you are hoping that no one walks in on you." The lactation suite was made possible by joint financial support from Mamava and parent volunteer organization Seahorse Pride. Burlington School Board chair Claire Wool and Superintendent Yaw Obeng jointly hailed it as "a creative way to better support mothers in our school and in the greater community." Learn more about Mamava at mamava.com.